By veoBASE Teraport offers its customers a highly capable 3D-viewer. Its focus is on fast visualization of large assemblies. 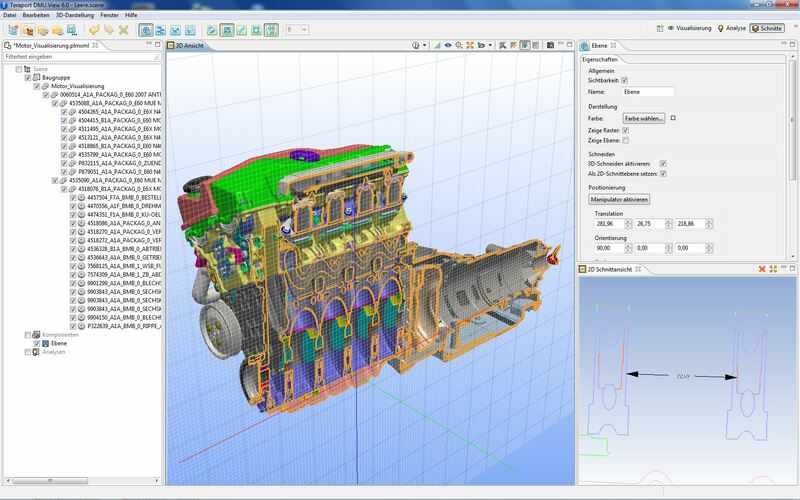 A large number of CAD interfaces makes sure virtualy every model is readable and displayable. Aside from basic functionality like measuring and sectioning veoBASE offers a wide range of additional features in the fields of DMU, analysis, calculation and simulation. These are bundled in optional workbenches. The specialty: Ambitionous customers are able to have individual functionality integrated in a customer specific workbench allowing full interaction with the 3D Models in the viewport. The special concept of veoBASE’s modular architecture allows this in a fast yet robust manner. A concept proved in its application within representative customers many times.